Largo’s Maracas Menchen vanadium mine in Brazil. Source: L:argo Resources Ltd.
Largo Resources Ltd. [LTO-TSX; LGORF-OTCQX] said Friday February 8 that it has filed a final base-shelf prospectus with Canadian regulatory authorities allowing Largo and certain of its security holders to qualify the distribution by way of prospectus of up to $750 million in securities during the 25-month period that the shelf prospectus remains in effect. The announcement comes after the company recently said it remains bullish on the outlook for vanadium, and expects prices to remain elevated, at least in the short term. Largo shares advanced on the news, rising 5.85% or 14.5 cents to $2.62 on volume of 728,434. The 52-week range is $4.65 and $1.08. Largo is focused on the production of vanadium flake, high-purity vanadium flake, and high-purity vanadium powder at the Maracas Menchen Mine in Bahia State, Brazil. Vanadium is a ductile and malleable transition metal. It is widely used as an alloy to strengthen steel and titanium and is expected to be widely used for stationary power storage applications.. 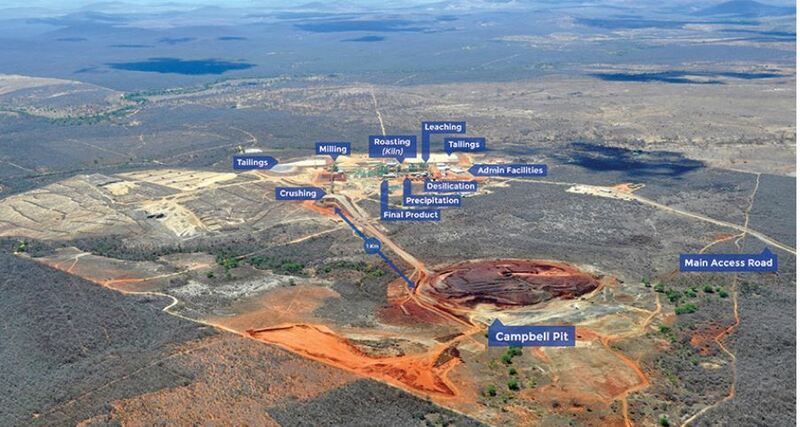 The Maracas Menchen Mine property covers 17,690 hectares and is located 250 km southwest of Salvador. It is also located near the town of Maracas, which boasts a population of approximately 25,000. 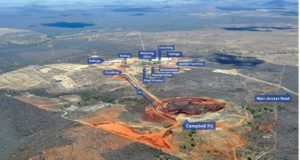 Largo has contracted a take-or-pay off-take agreement with Glencore International Plc for 100% of its vanadium material and has two years remaining in the contract. The mine produced a record 9,830 tonnes of vanadium pentoxide in 2018, exceeding the midpoint guidance of 9,650 tonnes by 2%. That marks a 6% increase in production compared to 2017. Largo recently guided investors to anticipate production of 10,000-11,000 tonnes this year at an average cash cost of US$3.45 to US$3.65 a pound. However, the company has said it plans to expand the capacity by 25%. During the year ahead, Largo has said it will continue to focus on profitability and looks forward to reaping the benefits of the increased production rate as a result of the company’s ongoing expansion project. “The expansion project to increase nameplate production capacity to 1,000 tonnes per month is progressing on time and the company expects to reach the new nameplate capacity rate in the third quarter of 2019,” Largo said. Aside from its solid production growth in 2018, Largo said vanadium prices soared approximately 156% but have recently receded to the range of US$15.50 to US$16 a pound. This reported price range for vanadium is presently up 38% in comparison to the same period last year. Largo said it continues to believe as a result of the structural supply deficit, an elevated pricing environment should remain for the metal in the short term. Vanadium at Maracas Menchen is contained within a massive, titaniferous magnetite and possesses very low levels of contaminants, such as silica. This helps to account for the low production costs and vanadium-rich (3.2% V2O5) ore.